Please join us at the Hyatt Regency San Antonio. Overlooking the historic Alamo mission, our San Antonio River Walk hotel brings the charm of this exciting waterway district inside our doors. 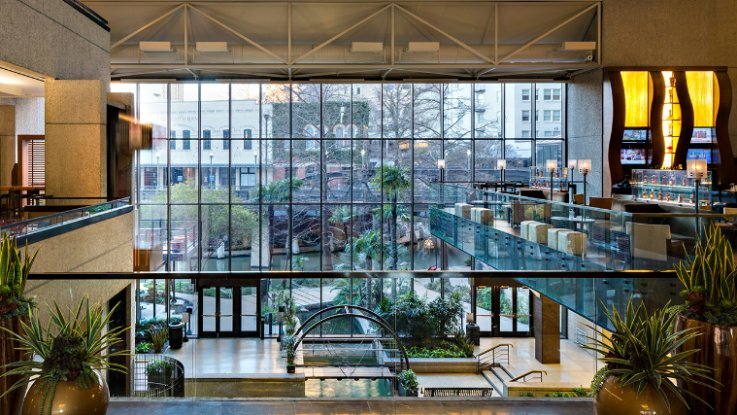 Enjoy an authentic San Antonio atmosphere, from the moment you step into our soaring atrium lobby. Located steps from the legendary San Antonio River Walk, we set the stage for the perfect getaway or business trip. Everything in this hotel is designed for guests to enjoy a comfortable and productive stay, including extensive business services and complimentary Wi-Fi. Support AAOM by booking your room within our room block and take advantage of our special AAOM conference rate of $199, for a single/double occupancy. Booking at the Hyatt Regency San Antonio makes attending the conference convenient and easy. Don't miss out on this great rate! Reservations can be made online. If you need to call to make your reservation please call 1 (888) 421-1442.